Any health and safety representative knows the benefit of good trade union training, says Jackie Williams of TUC Education. She says it is what gives reps the skills to do their lifesaving, life enhancing job and to keep a safe distance from the employer. 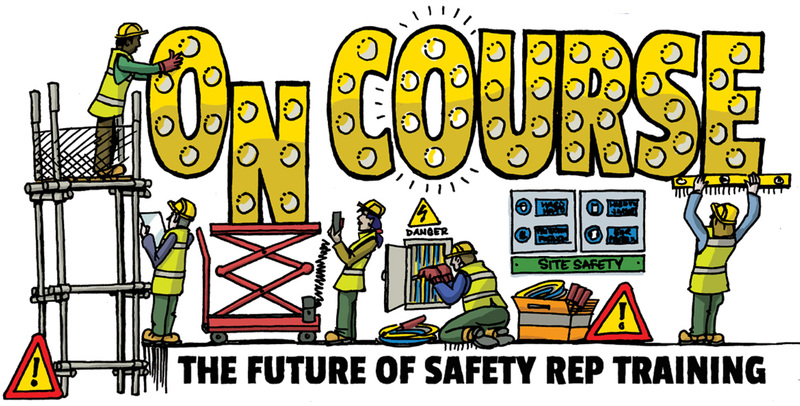 Since the legal requirement to give time off for union health and safety rep training was introduced, 40 years ago, it has been one of the most popular and highly regarded curriculum areas that we cover. Nearly 400,000 health and safety reps have been trained by the TUC in that working generation. But it is not just the numbers, it is also the quality. TUC Education has a real reputation for excellence in the training and development of health and safety reps. Health and safety reps, union safety specialists, government institutions and agencies, Ofsted inspectors and employers have all commented on the quality of our materials, the knowledge of our first-class tutors and changes that are made back in the workplace when someone has been on one of our health and safety courses. There has been plenty of research on the difference that our training makes, such as the 2010 research report ‘Making a difference’, and the 2014 follow up, Still making a difference. These Unionlearn reports showed that unions not only enable changes for workers, they can also bring benefits to employers and the wider community. We know there is a marked union safety effect, that workplaces that have union health and safety reps and safety committees have half the serious injury rate of those that don’t. There are a lot of reasons for that, but one major one is that unions ensure their safety reps are trained. Every year the TUC trains around 10,000 safety reps, and many more are trained through their own union health and safety programmes. • Saves the economy many millions of pounds. TUC Education aims to provide everything a health and safety rep needs to know to represent their members effectively, and to assist and support reps in dealing with workplace problems and hazards. Courses range from short awards through to longer certificate and diploma programmes. The TUC has tracked for 30 years the difficulties in obtaining paid release to attend courses and the decline of industries and sectors with strong, traditional release arrangements. 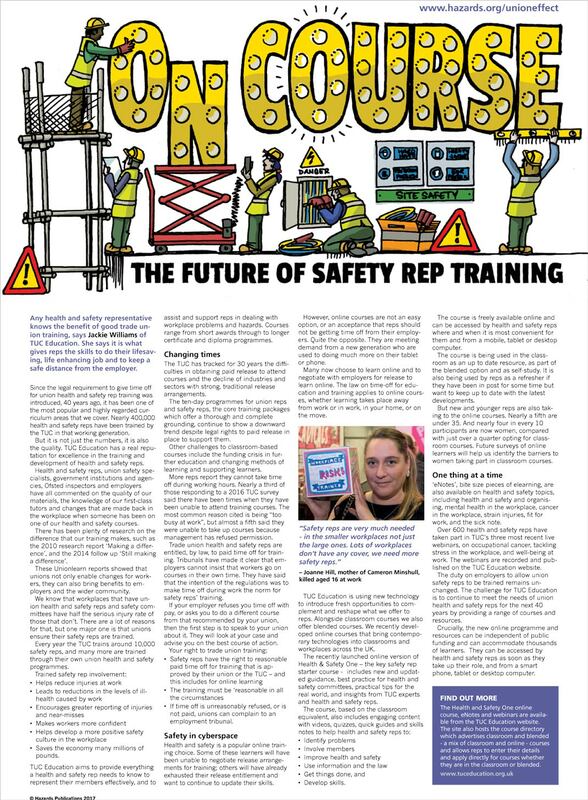 The ten-day programmes for union reps and safety reps, the core training packages which offer a thorough and complete grounding, continue to show a downward trend despite legal rights to paid release. Other challenges to classroom-based courses include the funding crisis in further education and changing methods of learning and supporting learners. More reps report they cannot take time off during working hours. Nearly a third of those responding to a 2016 TUC survey said there have been times when they have been unable to attend training courses. The most common reason cited is being “too busy at work”, but almost a fifth said they were unable to take up courses because management had refused permission. Trade union health and safety reps are entitled, by law, to paid time off for training. Tribunals have made it clear that employers cannot insist that workers go on courses in their own time. They have said that the intention of the regulations was to make time off during work the norm for safety reps' training. If your employer refuses you time off with pay, or asks you to do a different course from that recommended by your union, then the first step is to speak to your union about it. They will look at your case and advise you on the best course of action. Safety reps have the right to reasonable paid time off for training that is approved by their union or the TUC – and this includes for online learning. If time off is unreasonably refused, or is not paid, unions can complain to an employment tribunal. 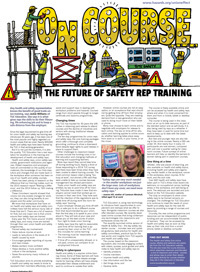 Health and safety is a popular online training choice. Some of these learners will have been unable to negotiate release arrangements for training; others will have already exhausted their release entitlement and want to continue to update their skills. However, online courses are not an easy option, or an acceptance that reps should not be getting time off from their employers. Quite the opposite. They are meeting demand from a new generation who are used to doing much more on their tablet or phone. 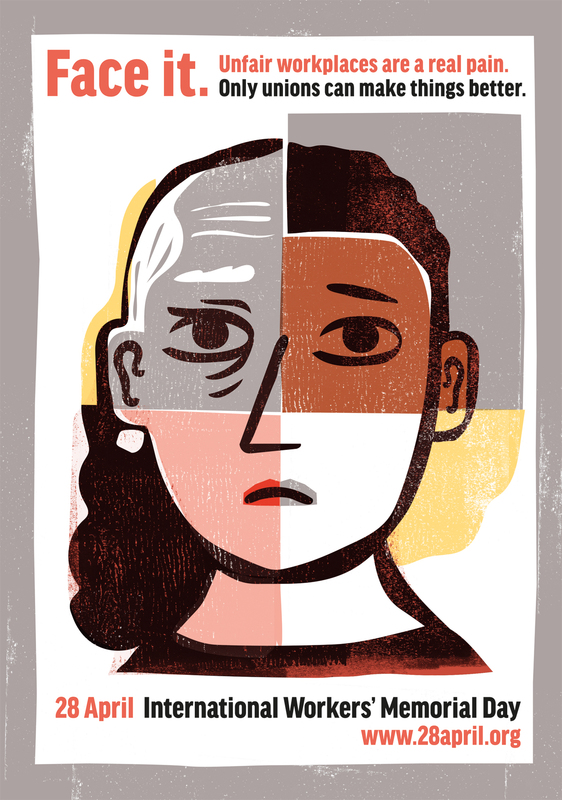 Many now choose to learn online and to negotiate with employers for release to learn online. The law on time-off for education and training applies to online courses, whether learning takes place away from work or in work, in your home, or on the move. TUC Education is using new technology to introduce fresh opportunities to complement and reshape what we offer to reps. Alongside classroom courses we also offer blended courses. We recently developed online courses that bring contemporary technologies into classrooms and workplaces across the UK. The recently launched online version of Health & Safety One – the key safety rep starter course - includes new and updated guidance, best practice for health and safety committees, practical tips for the real world, and insights from TUC experts and health and safety reps. The course is freely available online and can be accessed by health and safety reps where and when it is most convenient for them and from a mobile, tablet or desktop computer. The course is being used in the classroom as an up-to-date resource, as part of the blended option and as self-study. It is also being used by reps as a refresher if they have been in post for some time but want to keep up-to-date with the latest developments. But new and younger reps are also taking to the online courses. Nearly a fifth are under 35. And nearly four in every 10 participants are now women, compared with just over a quarter opting for classroom courses. Future surveys of online learners will help us identify the barriers to women taking part in classroom courses. ‘eNotes’, bite size pieces of elearning, are also available on health and safety topics, including health and safety and organising, mental health in the workplace, cancer in the workplace, strain injuries, working through the menopause, fit for work, and the sick note. Over 600 health and safety reps have taken part in TUC’s three most recent live webinars, on occupational cancer, tackling stress in the workplace, and well-being at work. The webinars are recorded and published on the TUC Education website. The duty on employers to allow union safety reps to be trained remains unchanged. The challenge for TUC Education is to continue to meet the needs of union health and safety reps for the next 40 years by providing a range of courses and resources. FIND OUT MORE The Health and Safety One online course, eNotes and webinars are available from the TUC Education website. The site also hosts the course directory which advertises classroom and blended - a mix of classroom and online - courses and allows reps to enter their details and apply directly for courses whether they are in the classroom or blended.